You can download the entire publication or only the packet of student handouts . *Individual student documents in lesson plans table. 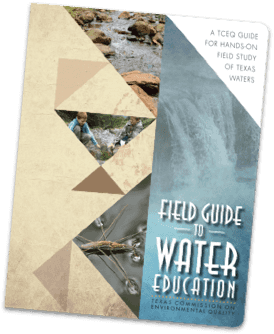 Download free lesson plans and handouts from the TCEQ's publications for educators. You can also project them on your classroom whiteboard. These plans are for use by instructors with students of all ages. Individual student handouts and lesson plans (with TEKS references) provided below in pdf. NOTE: SCIENCE TEKS as of 2015, Please verify the suggested Texas Essential Knowledge and Skills (TEKS), as these may change. Learn how to identify HHW products, safer alternatives, and where and how to reduce, reuse, recycle, or safely dispose of HHW items. Learn what composting is, the ingredients for a successful compost, and the environmental/societal benefits it provides. Learn how the recycling process works, what materials can be recycled, and how to recycle properly. Develop an understanding that discarded materials can be reused. Brainstorm any discovered water quality problems to find its cause. Develop and implement a plan to address this issue. Explore reasons that caused the results of their collected data. Collect benthic macroinvertebrates (insects, etc.) to determine water quality. Test the chemical properties of a water body and hypothesize factors influencing it. Test the physical properties of a water body and hypothesize factors influencing it. Observe and identify aquatic plants considered invasive species. Observe and identify the characteristics of a water body. Investigate the cause of 10 water pollution scenarios. Develop an aquatic food web and understand the relationship between these organisms. Draw the boundaries of a watershed and explain where rainwater goes in this area. Demonstrate your understanding of the water cycle and how we fit into this cycle.